Printing Industry Ideas & Insights Blog contains ideas to help printing and packaging business owners, managers, and employees improve their organization. As more E-Commerce innovations become available to the printing industry, customers will become more empowered to place, track, and manage orders on their own. Many of the Customer Service Representative's daily responsibilities will become the customer's responsibilities. Rather then passing information from the customer to the CSR and back to the customer, the customer will be able to resolve questions at the click of a button at Internet speed. So, what will your CSRs be doing in 3-5 years? The Internet, email, preflight software, and smarter file creation software have already begun to change the role of the CSR. 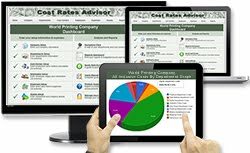 Today, CSRs are spending more of their day at the computer, communicating information to customers, suppliers, and intra-company staff via email and web forms. The future CSR will be more of a sales consultant position. Responsibilities will include preserving personalized relationships with customers, creating new business opportunities, and troubleshooting jobs. Customer phone calls to the CSR will change to technical questions about file preparation, production requirements, and billing questions. The customer will also be contacting the CSR when there is a problem with the order status, finished goods inventory counts, and other information viewable on the Web. The same E-Commerce features available to the customer will help the CSR service customers. This also presents the opportunity for the CSRs to work from remote sales offices, telecommute from their home, or use wireless Internet devices while in the customer's office. Perhaps E-Commerce may even combine the roles of the salesperson and the customer service representative into one position in the future. Profectus, Inc, is a national consultancy that helps printing organizations implement best business practices and maximize the value of their information technology investments. Craig Press founded Profectus, Inc. in 1993 to focus on helping printers improve their business practices and embrace information technology. Craig has over 30 years of ‘hands-on’ experience in printing estimating, order entry, customer service, operations, production, cost accounting, inventory control, and information technology. Throughout his career, Craig L. Press has contributed to the success of hundreds of printing industry organizations throughout North America. The easiest and most accurate way to calculate your equipment cost rates. © 2013 Profectus Incorporated. All Rights Reserved.. Awesome Inc. theme. Powered by Blogger.